Recently a lot of people are coming to us and ask advice, which piano to buy and how to choose piano. “The Kawai k300 is made in only one place in the world, Indonesia. The models shipped to North America are shipped first from Indonesia to Japan. In Japan the may add on the front top and front bottom panels and then mark the piano as made in Japan. The Japanese government is very liberal in this designation for Japanese companies that operate factories outside of Japan. You must go to the Kawai k400 to get a piano that is more Japanese made, but even then a great deal of the components are made in Indonesia. Kawai is focusing mostly on grand pianos from Japan these days and doing most everything else in Indonesia and at Parsons in China”. Brandnew Yamaha – all entry level till middle of intermediary, made in Indonesia, carry fast manufacture. Comment:good looking pianos-after 3-5 years of use, very hard tune and do any adjustment or regulation. Also at the beginning required many tunings. Quality is simple mediocre. Also not keeping well re-sell value. For top players pianos are extremely good. Prices provided by Yamaha-Australia are much higher in Australia, then the same models in Japan. In this reason second-hand Yamaha piano business is booming. 2.Brand-new other brands upright pianos with fancy German name, 95% made in China or Indonesia. Comment: Pianos truly made in Germany cost simple fortune. 3.Second hand pianos YAMAHA or KAWAI, made in JAPAN. Comment: excellent value, reliable pianos, if piano caring pre-sale service. All our pianos looks like new, with beautiful well balance touch and sound.We very confident and providing for our pianos 10-15 years warranty. Hoping this little info will help you to choose right piano for your family. 4.Old pianos divided: English made pianos between 1940-60’s –they are Ok in general. If you added up to the value of the purchase:delivery fee, tuning probably 2 -3 times, because piano has not been tuned in decades;some adjustments, approximate fee for repairs $800-$1000.In the end you will have old looking piano, but play reasonably Ok.
Old American made pianos: Mostly very old and not money wise to do any invest (except Steinway). ROLAND, KORG AND CASIO, YAMAHA. They will serve purpose of practice and enjoyment, you will have a lot of fun with digital piano voices. NO BORING MUSIC PIECES ANY MORE!!! Our love affair with pianos began over 40 years ago, when we were very young. Arriving in Australia with our engineering background ignited our passion for the instrument, the music, the history, traditions, craftsmanship and the design, which has allowed us to become one of the top piano specialist, servicing in all areas. We can offer our customers utmost quality of technical services ranging from beautiful tuning to complete rebuilding and restoration. 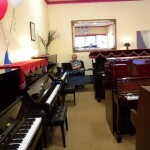 We are confident that you will play & enjoy hours of trouble free piano. 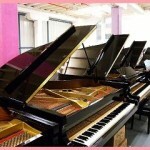 We happy to invite you to come into our showroom, when you decided which piano most suits you. We take great pride in our work and craftsmanship as we treat our business as a lifetime investment.